In about 2 plus hours, she will be Puan Asma’. Or whatever the Singaporeans call the Mrs. Pftt. We had her hen night the other day and the theme was 80s. You should have seen all of her friends. A lot of them are hijab wearers, but fooohhhh when they took off their hijab and black jubah in the room….afro hair, lace leggings, colour blocking tube top, denim head to toe… it was a mad house in there. We had so much fun putting make up on each other, playing Wedding Taboo, charades and all sorts of things. Asma’ was channeling Madonna and she pretty much looked like this, I’m not even kidding. No hanky panky stuff, don’t worry. Wasn’t THAT kind of hen night. That was like 2 weeks before her wedding. 2 nights ago, Asma’ had her body scrub session and since she was so busy with her wedding stuff, that was the only time we had to spend time with each other before she ends her single life. That night, we were 2 lazy princesses who had people to shower and scrub us. 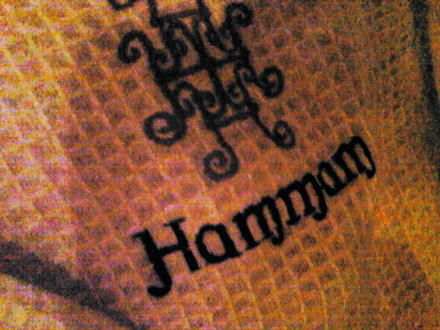 The best part was after that, when we chilled at the Hammam lounge, sipped Moroccan tea and just talked. It was too late, though. But whenever she has her period, she will come back to Malaysia to sleep with me. We made a pact, I don’t care. A tear fell down my cheek. I swear the Inside Vivy was slapping the Outside Vivy. I realllyyyy didn’t want to cry!! She’s really leaving us all, what did you expect! She came to sit in my lounge chair so the 2 of us squeezed together. The people there probably thought we were lesbians. I mean, 4 chairs and these two girls still wanted to berkepit together in 1. To Puan Asma’ who’ll probably read this after the wedding…..CONGRATULATIONS! Regardless of me giving you tips on how to cancel your wedding, of course I’m happy for you. It’s just that you know I’m going to miss you SO VERY MUCH from Tuesday onwards. You’re like a sister to me and I thank God that country has BB signals. I’m about to get ready to leave for your house now, and I’m excited to see you all gorgeous and glowing with happiness. You’ve been through a lot these past few months and I’m sure all will go well today, Insyaallah. To B, yeah yeah congrats also. But don’t look at me tonight when you see scratches on all the cars with number plates that start with S.
congrats to asma and be strong vivy!! brenda: HAHAHAHAAH wasn’t me I SWEAR!! Don’t worry. B is back in Singapore, so I will only scratch cars over there. BSC is safe territory, you’re cool.